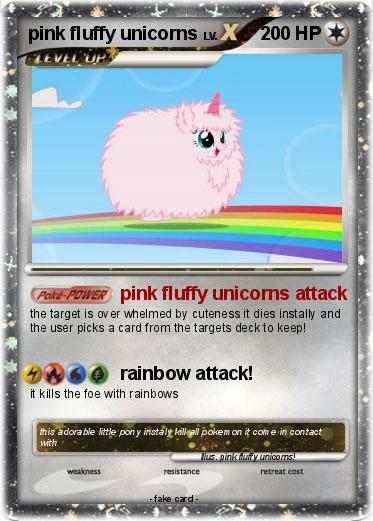 the target is over whelmed by cuteness it dies instally and the user picks a card from the targets deck to keep! Attack 2 : rainbow attack! Illustrator : pink fluffy unicorns!